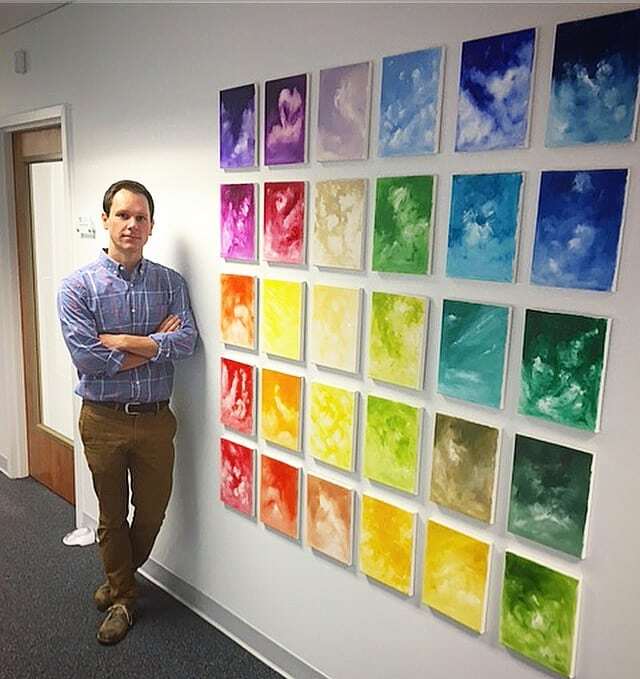 When Maryland Addiction Recovery Center opened its doors three years ago, co-owners Aura Arslanian, Sam Bierman and Zach Snitzer made a concerted decision to surround patients with real artwork that would be hopeful, thought-provoking and inspiring. No “Hang in There” kitty posters or generic motivational platitudes, but rather actual artwork that gave the center a unique feel and accomplished an important goal. Roesner himself is a person in recovery from addiction, having celebrated his third year of being alcohol and drug free this past August. In describing his latest year of sobriety, David said “this last year has been one of my most productive and creatively fulfilling years. And I’m looking for many more to come.” Like many other artistic people, while using David tied his identity to that of the drunken artist, a free spirited person whose artistic ability was born through the pain of addiction. In his addiction, David feared that sobriety would mean that he would lose his artistic ability and even damage his credibility as an artist. In short, being sober would mean losing his identity. However, three years after his last drink and drug, he is happy to report that is certainly not the case. In terms of a message to anyone still struggling in addiction or newly sober that fears recovery will be a hindrance to their creative ability, Roesner passionately disagrees. To learn more about David Roesner and see his online portfolio, visit his web-site at www.davidroesner.com. Contact information is available on the web-site.